There is something entirely different from the rest of the calendar in December 22nd, a date when feminine energies surround the forceful masculine center of personality so that liberation can be found. People born on this day are on the verge of creative work using knowledge they gather over time, those who jump into quick new solutions when you least expect them to, patient for years only to burst into flames and make turns that surprise everyone, including themselves. 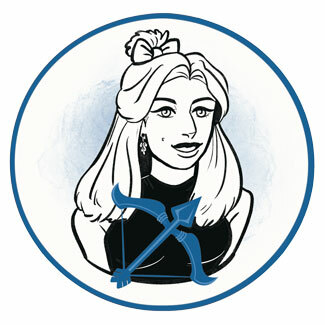 The planetary row of those born on December 22nd seems quite peaceful and dependent on one's relationship with their mother, as well as family and upbringing issues that made more or less of a mess in their emotional world. A lot of support is seen here, and it is definitely needed, for we must acknowledge the fact that these individuals learn from sad and bruising experiences only to use their knowledge to form faith, structure and boundaries in life. They are meant to cleanse the foundation they’ve been given so they can add new founding stones to their actual authentic core instead of running away from home, from their parents, culture, or the country they were raised in. With this date being the one when Sun reaches Capricorn, it is interesting to observe the presence of Moon in this row, as if to emphasize the importance of connecting extremes, opposing qualities, and breathe in subtle light of emotion with all meaning they carry along, into one's shadows and pain. "The Pope Blessing the Faithful"
The relationship between giving and taking to and from the spiritual world is quite vivid here, heavenly love there to bless one's heart filled with faith, and earthly love to guide our creative force so the circle may round up. These individuals won’t see much use or sense in little things that get done daily, as their concerns, thoughts and souls look like they overcome such matters. They won’t really settle for knowledge until they find the right philosophy to resonate with their Soul. Seeking grounding for spiritual and higher ideals found in religion and practices that require transcendence, meditation and rest, they learn how to bring their visions down to earth with faith in the cycle of life itself. Open-minded and different from others, people born on the 22nd of December are on the path of personal liberation and absolute freedom where all humans are equal and connected on a higher plane. They need to feel the right tribe to belong to and surround themselves with friends who give them room to freely express their true personality. As they connect on both mental and emotional planes with boundaries obvious and safe, they become aware of the great network of Souls we collectively represent on the path towards something much greater than our Earthly existence. Someone born on December 22nd is filled with emotions that aren’t always necessarily their own. With their fences down and especially when their Sun's still in Sagittarius, they may be somewhat naïve and have a hard time recognizing what they absorbed from the atmosphere around them, and what is truly their cross to bear. This can make them either dark and difficult, or seemingly too happy to take hold of, and however loving they might be with a partner, until they find bits and pieces of their inner peace, they won’t leave much room for their own heart to connect. They need someone tender and loving, someone who makes them feel like home, but in ways that are separate from negative connotations of "home" made through their upbringing. As their heart cleanses, and their shadowed and hidden emotions flow out, they find clarity of connecting where each bond is special and as authentic as two people involved in it. 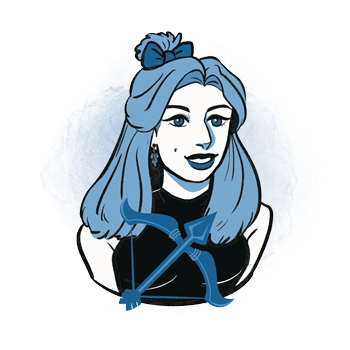 Sagittarius representatives born on the 22nd of December are wonderful interior decorators, do great with woodcraft and colorful expressions, furniture, as well as any kind of design and modern decorations. They know how to make beautiful things practical, and build their mind to quickly resolve emotional content of themselves, and others. As they grow older, they may become excellent therapists and healers of sorts, as well as wonderful parents to make deep and intense changes to the troubles that burdened their family tree for generations. An excellent healing stone for someone born on December 22nd is pink chalcedony, perfect to promote self-love and help them remember feelings of generosity towards self and others. It is a stone of spirit communication that stabilizes large groups of people and aids individuals in finding the right crowd to belong to. With its energy pulling them in the right direction, they will surround themselves with souls who support them to freely express and fit into a much larger network we all belong to. This crystal promotes goodwill and brotherhood, and will absorb negative energy and dissipate it so that outer influences are minimized, yet metabolized properly. Every special occasion for those born on December 22nd should be marked with a sign of affection. This is a matter of tradition and solid, lasting contacts, and they will think of you just as much as you think of them, in return. They love gifts for their home, practical but pretty, all those soft and cozy things they never bought for themselves because they are "too much" when they really aren’t. They always enjoy photo albums and posters with shared moments and know how to find meaning and love in the smallest of presents when they come from the heart. Loving, warm and ready to change deeply rooted ancestral patterns, they differ greatly from other people and breathe in change into each atmosphere they show up in. They are innovators in fields of relating and don’t necessarily need success and status as much as they need peaceful loving relationships to make them whole. Burdened by weight of the ancestors, they behave as they’ve been told to, and don’t stop to see their own pain and check their personal beliefs. This pushes them into mere survival, rebellious actions without an actual cause, and situations that are risky and unhealthy but not really necessary. In 1858 Giacomo Puccini was born, an Italian opera composer who successfully developed the realistic verismo style, known for Madama Butterfly and Tosca. His personal life was controversial, with a 20-year long relationship with a married woman whose husband was cheating on her, ending in marriage and more infidelity. In 1912 Claudia Alta "Lady Bird" Johnson was born, 38th First Lady of the U. S. and an American beautification activist that stated "where flowers bloom, so does hope". Intense feminine energies colored her life. Her mother died due to complications from a miscarriage, and she had three of them herself, before giving birth to two daughters. In 1962 Ralph Fiennes was born, an English actor and director, recognized for roles in Schindler's List and The English Patient. He is the UNICEF UK ambassador and worked in India, Uganda, Romania and Kyrgyzstan. 1808 – The premiere of Beethoven's Fifth Symphony and his other work in Vienna, where he performs. 1851 – The first freight train starts operating in India. 1891 – The first time that an asteroid is discovered using photography. 1937 – In NYC, the Lincoln Tunnel opens for traffic. 1965 – The UK applies a 70 mph speed limit to all rural roads and motorways, for the first time. 1989 – After almost three decades, the Brandenburg Gate in Berlin re-opens, ending the division of East and West Germany.